Orange Group provides telecommunication equipment and services to private and business customers. 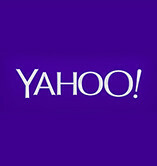 The company operates fixed and mobile services, internet, TV, teleconferencing services, etc. 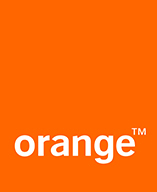 Orange is a French 25% state-owned telecommunication group. 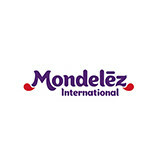 It provides jobs to 161,000 employees worldwide, including 101,000 employees in France. 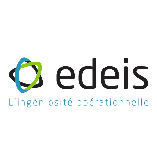 4000 people are employed on permanent contracts in France. By 2020, the Group aims to terminate all civil servant contracts. In 2013, the number of employees of the Group declined by 3%. The Orange Foundation, founded in 1987 with a goal to create links and promote communication between people with health or economic difficulties, employs 7,000 volunteers. Since France Telecom acquired Orange, the British mobile telecommunications company, the company opened affiliates in Europe, Africa and Middle East. With over 236 million customers worldwide, the Orange Group sales totaled € 41 billion in 2013. The number of fiber customers is about 415000. The mobile department of the Group achieved impressive results in 2012. In France, about one million mobile and 4G customers were added, which was the best result since 2009. 4G services are provided in 13 countries in Europe and 5 countries outside Europe. The motto of the group is: “Life changes with Orange”, stressing the company’s commitment to facilitate digital transformation for everyone in the world. The Orange Group is the first company to be included in the CAC 40, and to have been under investigation for moral harassment. 60 employee suicides occurred between 2006 and 2009. According to the complainants, the suicides were directly linked to systematic pressure put on employees by the company’s management. History of the Orange Group is the one of the French public company, France Telecom. Initially, the company provided telegraph and telephone services, and later extended its operations to television, Internet and mobile telephony services. The company developed together with inventions of the telecom industry: 1794 it introduced telegraph services, in 1876 – the first telephone (patent was filed by AG Bell). In 1962, it was the invention of satellite television, and in 1974 – of telephone cards. In 1982, the Minitel was introduced to the telecom world, marking the early beginning of internet era. Meanwhile, France Telecom was managed by different public authorities: by the Ministry of Posts and Telegraphs, then by the Ministry of PTT in 1929. In 1946, the Directorate General of Telecommunications (DGT) was founded, and on January 1, 1991, the DGT was separated from the Ministry of PTT to become France Telecom. 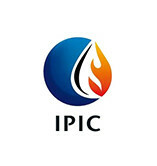 Five years later, the company became a public limited company, with the French state as the sole shareholder. In April 1996, France Telecom went public and floated on the London Stock Exchange and NASDAQ. In 2000, France Telecom acquired the British mobile operator Orange, and merged all its mobile operations under the name of Orange SA. In 2004, the French government sold off the majority of its shares in France Telecom. This date marked the beginning of the new historical period for the group. High speed internet came to France with the launch of fiber network in 2006, and the same year, Orange became the single brand for mobile, television, Internet and digital services in the different markets of the group. In 2009, Orange launched Orange Cinema Series channels. In 2012, France Telecom retired still functioning pre-World Wide Web Minitel service. And finally, in 2013, the Group was renamed into Orange. France Telecom Group, renamed into Orange Group in 2013, is headquartered in Paris, and provides jobs for more than 160000 employees around the world. 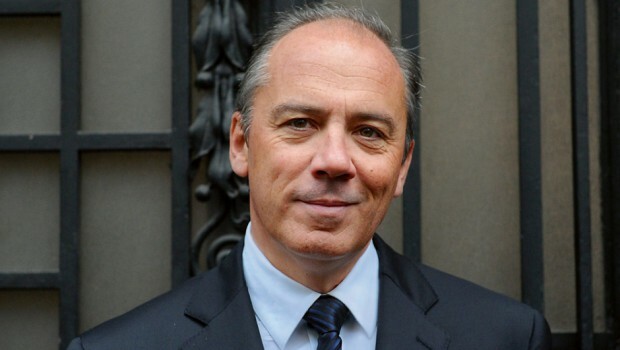 Stéphane Richard, born on 24 August 1961, has become a CEO of Orange in 2011 after a successful political career.